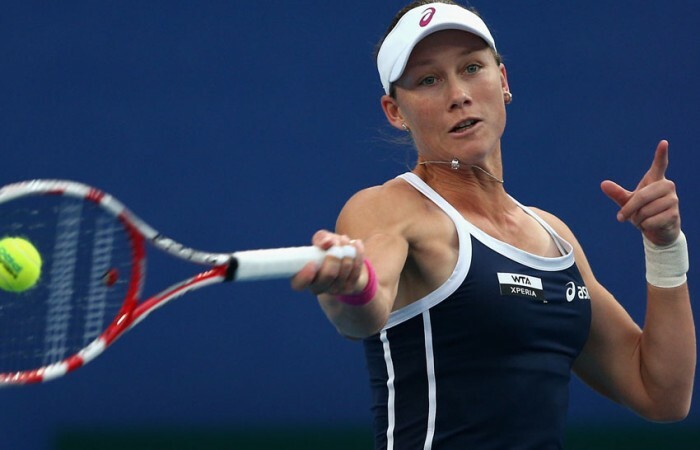 Sam Stosur said Monday she will be looking to sneak into a potential backdoor slot for the WTA Championships in Istanbul later this month. 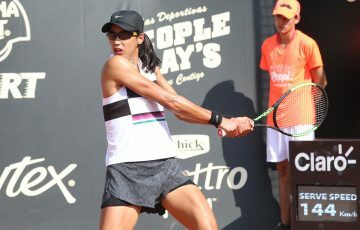 Sam Stosur and Frenchwoman Marion Bartoli said Monday they will be looking to sneak into a potential backdoor slot for the $US4.9 million ($A4.80 million) WTA Championships in Istanbul later this month. 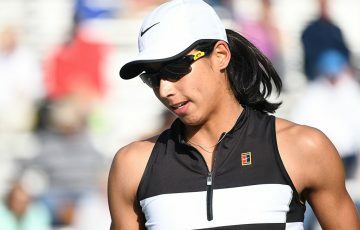 The 2011 US Open champion Stosur, currently ninth in the world but with Bartoli breathing down her neck as they look to be first choice replacement, had been desperate to sneak into the season-ending WTA championship but missed out on the elite top-eight line-up after losing early to Julia Goerges in Beijing. 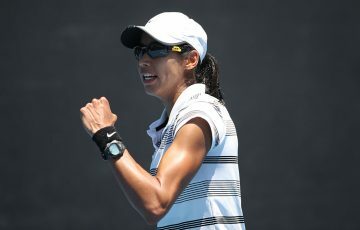 That defeat allowed China’s Li Na to claim the final spot in the money-spinning tournament, leaving 28-year-old Stosur dependent on an injury withdrawal if she is to extend her season. Stosur, top seed in Moscow this week, told reporters that this year, in contrast to some earlier sub-par showings in Moscow, she would be out to hit top form and take the title. “This year I’ve definitely come into this tournament hoping to do well,” the 28-year-old Stosur, who announced a last-moment withdrawal from playing in Moscow last year. “Last year I decided to withdraw from playing here just after the final in Osaka having already qualified for the WTA Championships. It was impossible to play all the Asian swing and than continue playing here. “But this year I have a goal to finish ninth if possible. Of course me and Marion (Bartoli) will watch closely each other’s performance here, both hoping to finish as the first substitute in Istanbul. Stosur, 28, also said that she was satisfied in general with her performance this season. Meanwhile, second-seeded Bartoli is keen to move up from her current ranking of 10th. Bartoli said that her experience of coming as a substitute in last year’s WTA Championships – where she played the final group match, coming in for the injured Maria Sharapova – helped her to stay focused as the season nears its end. “I’ll try to finish ninth (in the rankings) after Kremlin Cup,” the 28-year-old said.